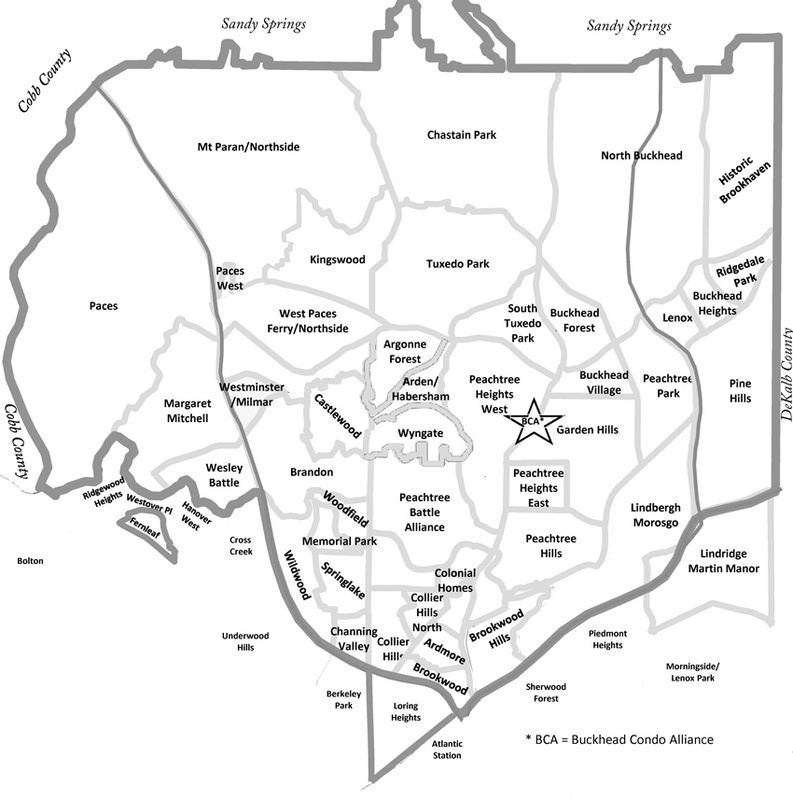 The Buckhead Council of Neighborhoods is a voluntary collaboration of Buckhead neighborhood groups. The Council provides a forum for sharing information across NPU and city council district lines; for the discussion of issues affecting multiple Buckhead neighborhoods and for collaboration on solutions; and for unified communication with government officials. Membership gives neighborhoods the right to appoint a representative to the Council Board. Once appointed, each representative has an equal vote, regardless of the size of the neighborhood. Yearly membership dues are $100 per neighborhood. submit a request through our online contact form. Click the neighborhood for available contact information. Use the Contact Us form to update or add contact info for your neighborhood.